Gorgeous single level home situated on a large lot with beautiful views of South Mountain in a gated community! This home features a huge kitchen island that has seating for 8, granite countertops, extended ceilings, gas fire place, wood shutters and tile throughout! The master suite features a separate entrance to the backyard, jetted jacuzzi tub, travertine tiled shower, updated countertops, walk-in closet and vanity! Check out the resort style backyard that is equipped with a built-in BBQ, gas fire pit, spa with easy stair access to the pool and a waterfall! 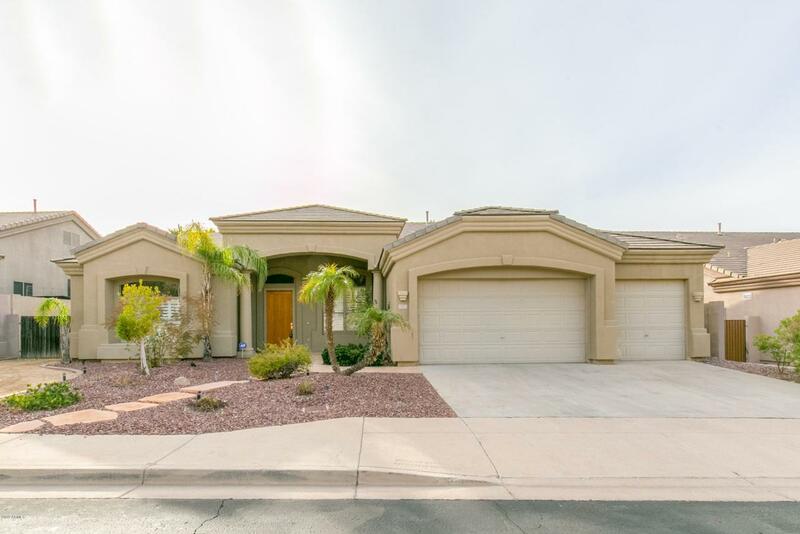 This home is located minutes to Foothills Golf Club, South Mountain Park, and tons of great shopping and dining! Plus with the Loop 202 being extended your downtown commute will be cut from 30 min to 10 min!!! The time is now! Cross Street Chandler Blvd & Desert Foothills N.